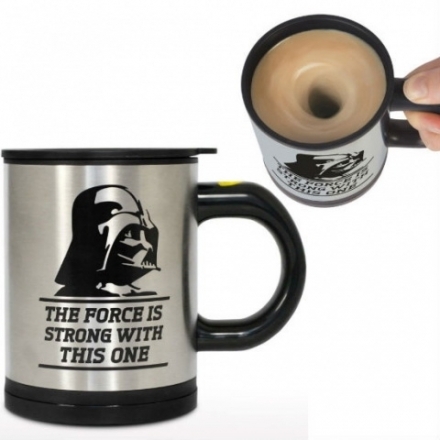 This self stirring mug gently whisks your drink when you press the button on the handle! It measures around 14 cm x 11 cm x 8.5 cm and takes 2 x AAA batteries which are not included. This makes a superb Christmas or Birthday gift for men and teenagers! Warning: Hand wash only, do not place in microwave.